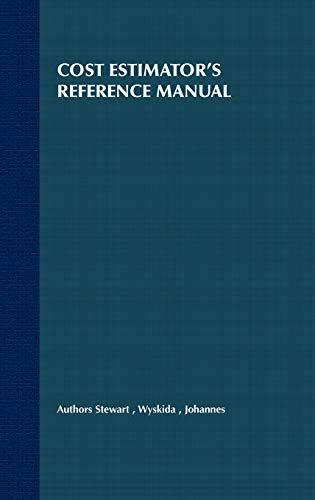 Written by acknowledged experts in their field, this reference presents the fundamental equations, principles, practices, data and methods used by cost analysts to estimate the cost of work activities and work output. It covers a wide array of topics spanning all engineering disciplines such as mechanical, electrical, industrial and civil engineering. The book discusses how to develop a credible and accurate cost estimate, where to get supporting data, what tools and techniques are available, who to contact about being certified, obtaining publications and information, and finding training in the profession. Provided is a cross-section of the disciplines and fields needed to address the varied aspects of cost estimating. Also featured is a chapter on applying artificial intelligence to cost estimating. 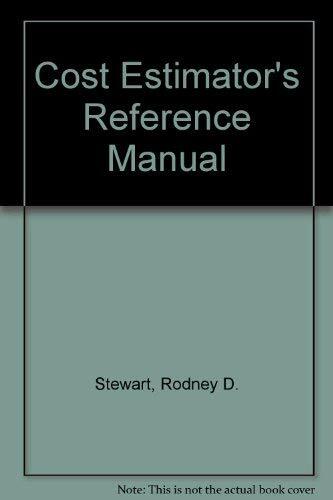 The book will be useful as an introduction for the novice, or as a working guide for the professional cost estimator.